The estimated cost of constructing the NITC DRIC Gordie Howe Bridge between Detroit and Windsor has now more than tripled since the Canada agreed to fund the entire cost back in June 2012. Its total cost, including interest payments, is now over four times the 2012 estimate. The recent, sharp collapse in the value of the Loonie – the Canadian currency – is being blamed. But it appears that deliberate lying cost underestimation in 2012 and project creep over the last 30 months play a much bigger role in the eyepopping new cost estimates. Financial markets trade the U.S. Dollar and the Canadian Dollar back and forth as ‘USDCAD‘, which is the equal value ratio of Loonies per greenback. The higher USDCAD is, the weaker the Loonie. USDCAD is now quoted around 1.40 (1.4 Loonies per greenback). 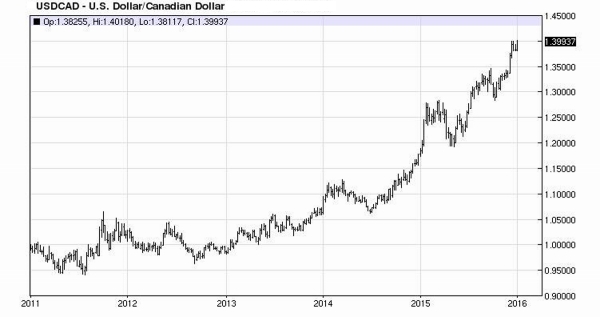 The Loonie was 37% stronger back in June 2012 when Governor Snyder and then Canadian Prime Minister Harper worked out their agreement; USDCAD was then about 1.02. Direct construction costs are now estimated to be C$ 2 billion ($ 1.43 billion USD) higher than the C$ 973 million ($ 950 million USD) estimate touted back in 2012. A 37% increase due to currency adjustments would be only $ 360 million (USD), so we know the 2012 deliberate lie underestimation was in the vicinity of $ 1.64 billion (USD). Additionally, the collapse of the Loonie now requires the establishment of a C$ 1.5 billion ($ 1.07 billion USD) reserve to offset the expected rise in Canadian dollar denominated bond interest rates. The Canadian government bond yield curve has doubled at its short end since the middle of September 2015 in response to the collapse of the Loonie. The Gordie Howe Bridge will be financed at those higher Canadian bond interest rates. The total Canadian government cost estimate is now C$ 4.8 billion ($ 3.43 billion USD). Harper’s Conservative government was defeated in October of last year after NDP voters abandoned their own party for the elysian promises of Justin Trudeau and his Liberal Party. Virtually the same promises our Dear Leader made in 2008 – ‘Hope and Change’ recycled for a northern audience. Harsh reality is already wrecking the promises Trudeau made to win the October election, so will the Canadian government continue to throw money at an unneeded bridge? Premier Trudeau promised to limit Canadian federal government deficits to C$ 10 billion ($ 7.14 billion USD) a year, while cutting middle class taxes, sweetening social security payments, and handing out a lot of new freebies. 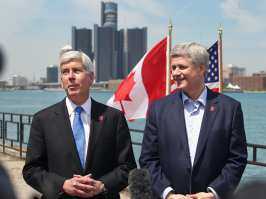 Notably absent from his 173 campaign promises was any endorsement of the Gordie Howe Bridge project. Canadian voters were gulled into believing that the Liberal promises could be achieved by increasing taxes on the rich, canceling the F35 fighter buy, and withdrawing Canadian Forces from the Middle East. None of this is working out as advertised, only three months after their election. And the Canadian economy just went over a cliff as the price of oil collapsed last year. The Canadian federal government’s entire budget is just less than C$ 350 billion ($ 250 billion USD) a year, much of which gets directly transferred to the provinces and territories. The exact size of the 2016 Canadian federal government budget is not yet known since the government turnover and the oil price collapse have postponed its development into this year. The Canadian government’s infrastructure expenditures over the ten years commencing in 2014 come out of a C$ 53 billion ($ 37.9 billion USD) total fund which is also funding an expensive new bridge over the St. Lawrence in the Montreal area. Canada has supposedly put up C$ 631 million ($ 450.7 million USD) for the Gordie Howe Bridge project already, but the remaining C$ 2.34 billion ($ 1.67 billion USD) of the construction costs is an awful big bite out of the C$ 53 billion ($ 37.9 billion USD) New Building Canada Fund – 44% of an entire year’s expenditures. The C$ 53 billion in the New Building Canada Fund is only a budget projection anyway, so their developing recession is going to ravage that number in any event. It is now up to the new Liberal Party Canadian Premier, Justin Trudeau, to decide whether to proceed with this white elephant. Rest assured that welfare freebies will rank much higher in priority than infrastructure spending, within the new Liberal government. In traditional Canadian fashion, their politicians insist that the bridge will still be built, but they have quietly pushed out its completion date to 2023. The slow roll is a Canadian political invention only recently popular amongst American liberals. You can bet that this projected completion date will continue to increase faster than calendar time. You won’t live long enough to see a Gordie Howe Bridge. Canada’s gusher of oil tax revenue is gone, and so is the Gordie Howe Bridge – or at least its putative 100% Canadian funding. This is good for Michigan roads. We have pointed out that heavy truck traffic does the vast majority of damage inflicted on Michigan’s highways. MDoT knows this and uses truck traffic numbers exclusively to determine the remaining service life of our highways. More truck traffic, less remaining service life and more frequent repairs. Trucks, especially Canadian trucks, do not pay enough in taxes to cover the damage they inflict on Michigan roads. Your passenger car fees and fuel taxes cover this deficit. The remaining question here is what Governor Snyder will do. The Gordie Howe Bridge was a twofer in his view. It was the centerpiece of his grand plan to reinvent Detroit as a logistics hub. He could also lay claim to U.S. Federal matching funds (matching the Canadian spending, no less!) that would be fed into MDoT ‘transportation’ spending. Not necessarily road spending, remember those rail cars rotting in Owosso. Now it looks like he is going to have to cough up a lot of State money or watch his logistic hub plan for Detroit disintegrate. After Flint, ‘unexpected expenses’ has become the FY 2017 Michigan budget watchword. 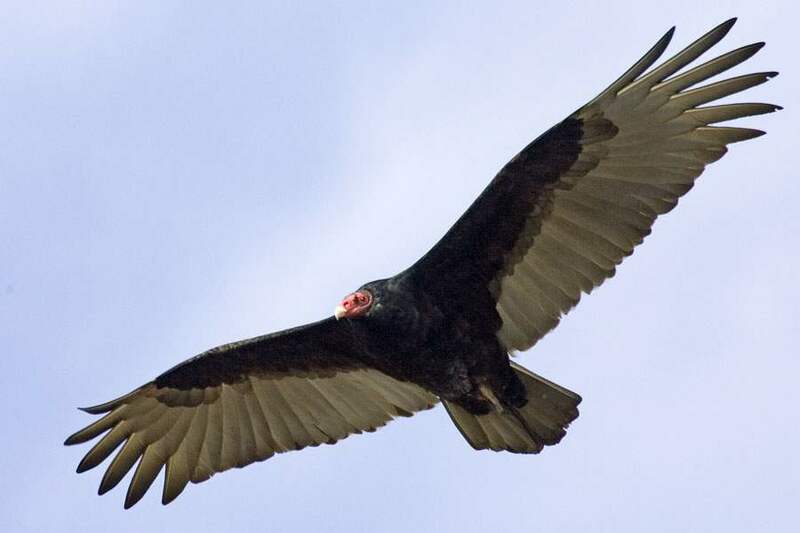 Those vultures are coming home to roost, just not on a Gordie Howe Bridge. The income from the bridge cannot pay for it. If this goes forward, it will be under worse conditions. Canadians are saying that both Gordie Howe and reconstructed Montreal Champlain St. Lawrence bridges will have to charge average vehicle tolls of C$ 30 ($ 21.42 USD, one way) to break even, at their original traffic projections. The toll projection for the reconstructed Tappan Zee Bridge in New York is around $ 16.00, despite the NY Thruway Authority getting some very cheap IFIA bonds that markedly reduced its total cost. Current total cost estimates for Montreal Champlain St. Lawrence and Tappan Zee projects are C$ 3 - 8 billion and $ 3.9 billion USD respectively, so they are in the same class - both in terms of cost and ineptitude - as Gordie Howe. The original traffic projections of all three bridge projects appear to be well fudged to cost justify these projects. Didn't link to these toll estimates because there is further fraud underway on their traffic estimates to try to get the break even toll numbers down. By way of comparison, the basic vehicle one way toll on the Ambassador Bridge is $ 5.00 USD. The proposed vehicle toll on Montreal Champlain St. Lawrence developed into an explosive political issue. Eliminating this toll completely was one of the 173 campaign promises made by Premier Justin Trudeau. This is going to blow a very large hole in Canada's infrastructure budget, before they even get to funding Gordie Howe. "By way of comparison, the basic vehicle one way toll on the Ambassador Bridge is $ 5.00 USD." $5. If this is not the story of government falling flat in comparison to private sector efficiency, I really don't know what is. And those who might argue that the MDoT builds approaches and highways leading to it? Bad argument. We build roads that all buisnesses access. And they would be there as an aside, and adding to our taxpayer liability anyhow and then some.